These are just exquisite, have beautiful patterns and are polished to perfection! Malachite stimulates inner imagery. Dreams, imagination and memories become alive and real. Detoxifies the emotional body, releases negative or painful emotions, clears and releases old traumas from this and past lives. Detoxifies liver and gall bladder at physical and emotional levels and brings things out from within. Aids childbirth, emotional therapy and the recovery process. Protects against psychic attack and others negativity. 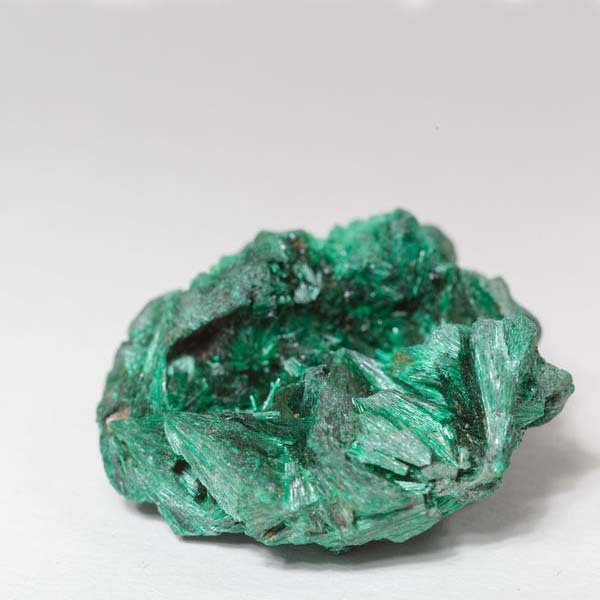 Malachite is formed through a secondary process in the oxidation of copper ore deposits. It has a monclinic crystal system and is in the mineral class of carbonate. Surface water containing carbonic acid dissolves copper out of the rock and forms compounds to create alkaline, water-containing copper carbonate. While Malachite is related to Azurite, it contains more water. Malachite is surrounded with myths and legends. It is generally a womens stone and has generally been dedicated to a goddess in many cultures. In Egypt to Hathor, in classical times to Venus and Aphrodite, in northern Europe to Freya. It has been known to alleviate menstrual problems and ease labor and is still called the 'Midwife Stone' in much folklore. It may be best to start out with smaller items or only wearing for a short time because this stone has such a pronounced effect it takes some getting used to. I have also found (with my son when he was a toddler, as well as with my friends children) that it is a great aid in eliminating nightmares in small children by placing a small piece under their pillow or on their night stand near the bed when they sleep. Malachite encourages an appreciation of aesthetics, sensuality and beauty, friendship and justice. It helps us to imagine ourselves in the position of others and be able to empathize with them. It is an aid to rid yourself of shyness and awakens your desire for knowledge. Malachite makes us more aware of our desires, needs and ideals, but the realization of them is still up to us. Malachite stimulates inner imagery. Dreams, imagination and memories become alive and real. Suppressed feelings can be suddenly brought out in the open. It can take away inhibitions and encourage your expression of feelings. Moods may be experienced more intensely and then dropped again as fast as they came. Old pain and traumas might surface and be dissolved if you are in a position to face them. In knowing that, the weakness of this stone is that while it brings things to our attention, it will not change what we have been given insight to. This is not a bad thing, it just means that you will need to move on to other stones to heal what has been revealed. Malachite strengthens your understanding of concepts. It enables you to absorb information more quickly as your imagination makes you strong and aware of how to handle it. Thought can flow very quickly and decisions can be made without much contemplation. Malachite strengthens the capacity to observe. Even the tiniest things are realized much more quickly and their meaning is easily recognized. 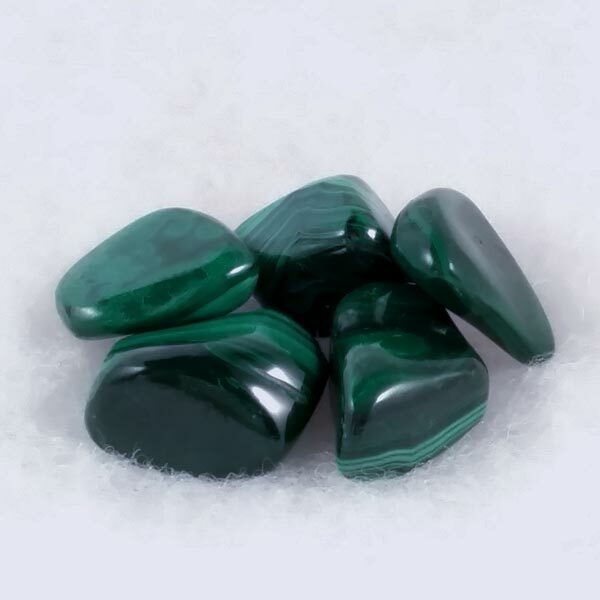 Malachite eases menstrual cramps and problems and facilitates labor. It also encourages the development of female sexual organs and heals their ailments. Malachite stimulates liver activity, has a detoxifying effect, and aids in alleviating rheumatism. It stimulates nerves and brain activity. Malachite has a special affinity with Scorpio, but benefits all signs. It is especially recommended for word processors, surgeons, professors, executives and child care workers. It has a Receptive Energy, its Planet is Venus and its Element is Earth. In some parts of Germany, Malachite shares the same reputation as Turquoise in protecting the wearer from falling. It has also been said to warn of coming danger by breaking into pieces. The Egyptians used Malachite for protection and safeguarding pregnancy. They would also grind them for use as eye cosmetics. I can not recommend doing that today since we now know that Malachite dust particles are highly toxic and their ingestion should be avoided.